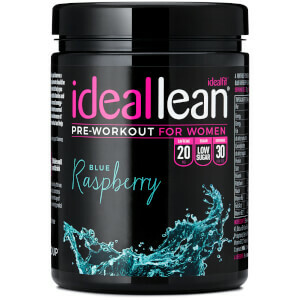 IdealLean Pre-Workout for women was created to boost your workout to a new intensity. 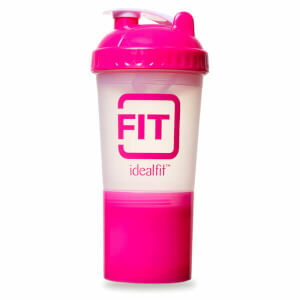 By including natural caffeine, B vitamins, beta alanine & more you can increase energy, focus & motivation in each workout! 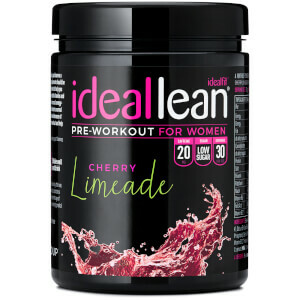 IdealLean Pre-Workout is specifically developed for females in fitness with a blend of natural caffeine from Green Tea Extract and B vitamins to increase energy & focus. Not only that, but just 2 calories per serving and added CLA, magnesium & beta alanine you can maximise results with almost zero impact on your macros. With Vitain B6, B12, pantothenic acid, folate, thiamin, riboflavin and biotin our blend can help support your metabolism and even contribute to beauty benefits for your hair skin & nails. What's more, chromium & calcium also support your overall health to deliver the best workout in every session! Start your workout off the refreshing way with our Berry Cherry Limeade Recipe! Prepare to crush your workout with our delicious watermelon lemonade slush. Mix up your pre-workout routine with our Cherry Limade Sorbet for a refreshing treat!